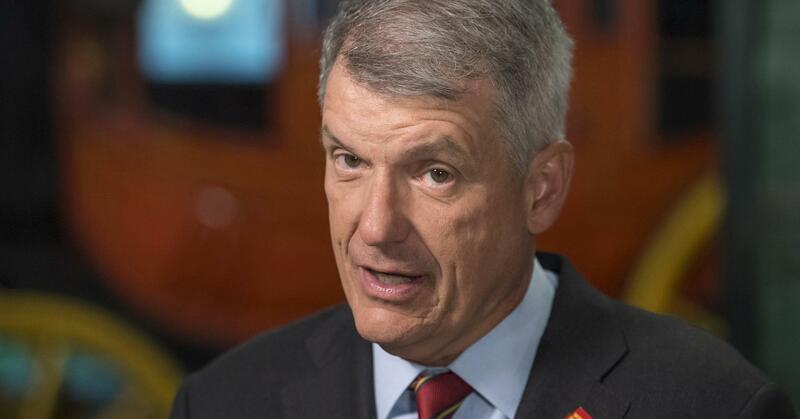 Wells Fargo’s stock may still be feeling the effect of its sales scandal, but the end should be in sight, bank analyst Scott Siefers told CNBC on Friday. Shares of Wells Fargo fell more than 3 percent Friday. While the bank reported first-quarter earnings that beat expectations, it said the results could be revised depending on the outcome of talks with regulators over a possible $1 billion settlement. The settlement talks concern the sales of certain auto insurance and mortgage products. The company has struggled to overcome numerous regulatory issues for more than a year after disclosing in 2016 that branch employees had opened millions of accounts without customers’ knowledge. In February, Wells Fargo was slapped with sanctions by the Federal Reserve for not having adequate risk controls in place that could have detected the sales practice problems. While the “litany” of issues facing Wells Fargo has weighed on the shares, there are three things Siefers sees as positive. For one, the stock has been a “tremendous underperformer” and on a valuation basis looks a lot more reasonable than its peers, he pointed out. There is also the emergence of a “potentially very compelling cost story,” added Siefers, a principal in the research department of Sandler O’Neill. Plus, he sees a catalyst in the “ton” of excess capital he thinks will be returned to shareholders over the next couple of years. He’s also bullish on the overall sector. Banks shares fell Friday despite Citigroup, Wells Fargo and J.P. Morgan Chase all reporting quarterly earnings and revenue that surpassed analyst expectations. The SPDR S&P Bank ETF (KBE) shed 1.6 percent, while J.P. Morgan dropped 2.7 percent. He likes the fact that short-term interest rates are going to continue to inch higher, which is good for net interest margins. Plus, he sees a lot of capital return and deregulation, as well as an improving macro backdrop that means the potential for loan improvement as the year progresses. — CNBC’s Liz Moyer and Fred Imbert contributed to this report. Disclosure: Sandler O’Neill expects to receive or intends to seek compensation from Wells Fargo & Co. for investment banking services in the next three months.